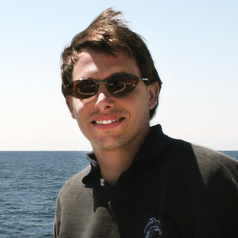 Andrew Wright is a British marine biologist that has been working on the science-policy boundary around the world for over a decade. His experiences have led him to champion a better communication of science to policy makers and the lay public, as well as spearheading efforts to bring more marketing techniques into conservation outreach. His Ph.D. explored the natural behaviour of harbour porpoise and the impacts of noise on them. He studied sperm whale bioacoustics for his M.Sc. He has just begun a postdoc in Halifax, NS, Canada, to study impacts of noise on right whales. University of Wales, Bangor, M.Sc.